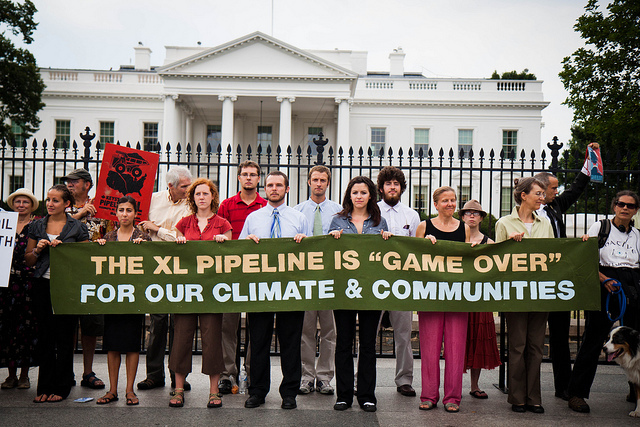 In the largest civil disobedience protests in the environmental movement’s recent history, 50 more people were arrested Thursday outside the White House in a protest against the Keystone XL tar sands oil pipeline. Since Saturday, 322 people have now been arrested. Seven hundred transport workers blocked a main road in western Sydney yesterday to demand new federal work safety laws. Some retrenched workers of the Ghana Cotton Company (GCC) in Bolgatanga are on hunger strike and they and their colleagues on Thursday reiterated their appeal to government to ensure that their severance awards are paid them. Police arrested undocumented students who were holding a demonstration Wednesday outside the immigration offices in Los Angeles against Secure Communities, a controversial immigration enforcement program. Police turned away a half-dozen protesters on Wednesday who had occupied Rep. Paul Ryan’s Kenosha office since last week. Around 100 lawyers in Syria defied Bashar al-Assad’s regime as it continues a violent crackdown against country-wide protests, by holding coordinated sit-ins outside bar associations in at least four regions of the country on Tuesday. The Pakistani city of Karachi was brought to a standstill on Tuesday after a “day of mourning” strike was called by a political party to protest against weeks of violence. Greek tourism workers walked off the job Tuesday in a 24-hour strike over government pension cuts, as dozens demonstrated outside three luxury hotels in the Greek capital to protest the cutbacks. In San Francisco, authorities arrested 45 people Monday during another protest against BART, the operators of the Bay Area train system. In New York City, an 82-year-old resident of Brooklyn facing foreclosure was allowed to stay in her house last Friday after more than 200 people gathered in front of her home to block the eviction.